In 2016 Roush Industries celebrated its 40th anniversary. The company Jack Roush formed in Livonia, Michigan, has expanded across the globe providing engineering, testing, prototyping and manufacturing services to the transportation, defense, theme park, and aerospace industries. The Roush family of companies now includes Roush Performance, developer and manufacturer of performance vehicles and products for the automotive aftermarket, and Roush CleanTech, developer and manufacturer of propane fuel systems for the fleet vehicle market. Roush’s accomplishments in the marketplace have paralleled his extremely successful motorsports career. In 1988 Roush, an accomplished drag and road racer, entered the growing world of NASCAR. 29 years later Roush has built his team into one of the most successful in the history of professional sports. 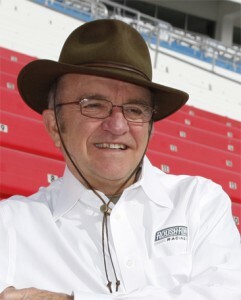 Roush earned his eighth NASCAR championship in 2015 and today, Roush Fenway stands as the winningest team in NASCAR history and boasts the most wins in both the XFINITY and Camping World Truck Series. In 2007, Roush Racing and Fenway Sports Group (FSG) announced the formation of Roush Fenway Racing, an unprecedented relationship that brought together two championship organizations with a distinguished track record of success in their respective businesses and sports. Born in Covington, Ky., in 1942, Roush received his mathematics degree with a minor in physics from Berea College in 1964 and moved to Detroit to work for Ford Motor Company that same year. He went on to earn his Master’s Degree in Scientific Mathematics from Eastern Michigan University in 1970. Mr. Lyall began his career with Roush as a summer intern for Jack Roush Performance Engineering (JRPE). 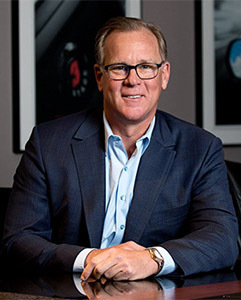 During his 34 year tenure with Roush, he has led the company’s growth from 23 employees to over 4,000, with a global footprint and revenues approaching $500 million. Mr. Lyall has held various positions in Roush’s accounting, finance, operations, and motorsports activities, and was appointed CEO in 2001. He has been an integral part of the leadership team that has transformed JRPE into Roush Enterprises. The Roush Enterprises companies include Roush Industries, a multinational firm engaged in engineering, product development, manufacturing; Roush Performance, developer and manufacturer of performance vehicles and products for the automotive aftermarket; and Roush CleanTech, developer and manufacturer of propane fuel systems for truck platforms serving the fleet vehicle market. Mr. Lyall also serves on the Board of Directors of Roush Fenway Racing (RFR), one of the world’s largest motorsports management organizations. As Managing Director, Mr. Lyall oversees the RFR’s business operations. Most recently, Mr. Lyall has overseen the implementation of Roush’s very successful diversifications strategy, expanding the company’s customer base into the theme park, defense, aerospace, and oil and gas industries. Today, Roush’s customers include Ford, Chrysler, General Motors, Disney, Google, Navistar, Bell Helicopter, and Aramco. 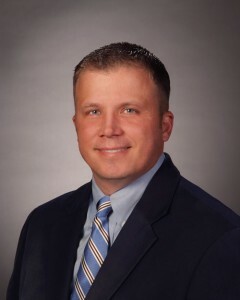 A member of the Board of Directors of the Business Leaders of Michigan, a non-profit, executive organization focused on making Michigan a top ten state for jobs and economic growth, Mr. Lyall is engaged in a number of civic organizations. Mr. Lyall and his wife, are active supporters of the Cornerstone Schools and a number of other local charities. Previously he served as president of ROUSH CleanTech since its inception, growing the company from six employees to more than 90. Under Thompson’s leadership, ROUSH CleanTech won numerous quality control and environmental awards, including Supplier of the Year from Blue Bird and a Michigan Green Leader honorable mention. He is a recipient of the 2013 Green Fleet Sustainability All-Star award. Thompson regularly posts to his alternative fuels blog, Fuel for Thought, and contributes to Fleet Owner magazine’s IdeaXchange. Raised in Ohio, he earned a degree in public relations from Ohio University’s Scripps School of Journalism. He lives with his wife, two sons and vizsla retriever in Ann Arbor, Mich. He is a sports enthusiast and is committed to a healthy lifestyle. 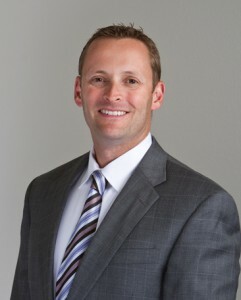 Todd Mouw is the president of ROUSH CleanTech. A recognized leader in the propane autogas industry, he guides and directs the matrix of ROUSH CleanTech activities. Mouw has played a key role in taking the company from start up to a sustainable and profitable business with more than 18,000 product sales to Fortune 500 fleets, school districts and government fleets. Formerly as vice president of sales and marketing, Mouw drove the company’s national business development team and marketing department. He has traveled the nation speaking about domestic alternative fuel technologies and has been featured in hundreds of media interviews and bylined articles as an alternative fuels expert. A recipient of the 2011 Green Fleet Sustainability All-Star Award, Mouw served as the 2011-2012 president of the Green Truck Association, which is part of the National Truck Equipment Association. Mouw’s decades of experience in the automotive and high tech industries also include extensive sales and marketing experience with Ford, GM and Chrysler’s dealer, fleet and consumer communications programs. Previously, Mouw founded a marketing consulting business, Innovative Customer Management Solutions. He received a bachelor’s degree in business administration from the University of Michigan in Ann Arbor. Mouw resides in Royal Oak, Michigan, with his wife, son and golden retrievers. When he’s not in the office, he enjoys golfing and family time at the lake.